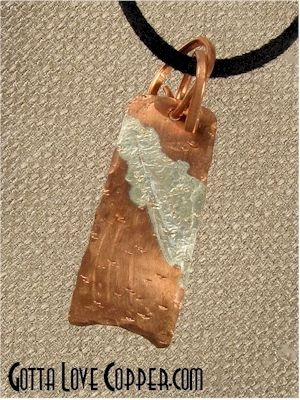 This hammered copper pendant has a splash of Sterling Silver across its midsection. The silver adds a new brightness to the pendant's personality. Hammered copper wire forms the bale. Includes a cord. You are visitor number 2,022 to this page.